TANK low ball is made from mouth-blown clear glass ornamented with hand-painted copper detailing. A heavy and generously proportioned object with our logo sand-blasted on the base. 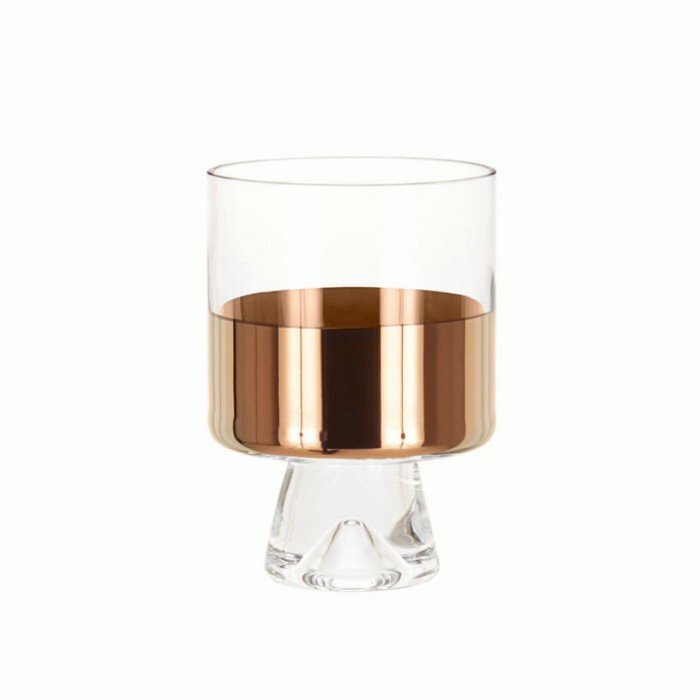 Especially made for short drinks, perfect for whisky and cocktails. Presented in white gift-packaging. Sold in pairs.